If you’ve ever been notified that your property and casualty (P & C) insurance policy is being canceled, you know how this can send shock waves throughout your being. Too often, people think their insurance policies will always be there for them, regardless of what they haven’t done to keep their policies intact. 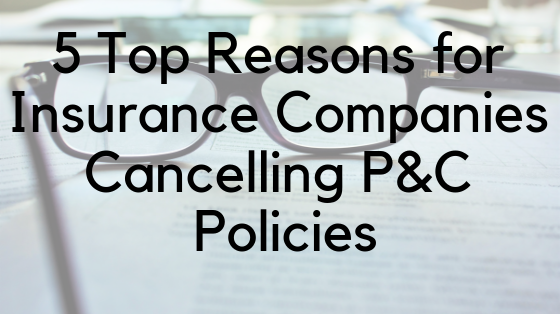 Here are five of the most common reasons for a P & C insurance policy being canceled, along with the importance of working with your insurance agent for solutions to rectify the problem. One of the main reasons for an insurance company to cancel a P & C policy is because of too many claims. If this is the case, you’ll need to ask yourself some questions, such as the financial worth and nature of each claim. Were the claims because of related or similar problems, such as water or fire damage? Maybe the claims were from unrelated causes. Furthermore, did they all happen at the same location, and have you made any changes that have made your property less hazardous? Unfortunately, sometimes policies are canceled because of people forgetting the due dates of their payments or not paying at all. One of the worst blunders you can make is to ignore a payment notification. If your policy is canceled, for this reason, you’ll need to promptly call your agent so that reinstatement can be negotiated, and you can keep your policy. Ask your agent what you need to do to prevent your policy from being canceled. Explain why you didn’t pay on time, such as having a death in your family, an extended illness or hospital stay. Another reason may be financial problems or even a trip that lasted longer than expected. Did your insurance company tell you to make certain repairs on your home, but you failed to do them? Then your policy could be canceled. Even if you started to make the repairs but didn’t complete them within the timeline that your insurance company provided, you could still lose your policy. For example, it’s common for insurance companies to have safety concerns about specific kinds of electrical wiring in older homes, such as tube wiring, which can be exceptionally hazardous. Another issue is an outdated electrical box that needs replacing. If you believe your wiring is safe, ask a professional electrician for a written statement supporting your case. The term “material change in risk” is a change in a situation. This is a term insurance companies use for a continuous, substantial change in a client’s situation that causes risk factors in a property to increase. A typical example is someone converting their home into a daycare center or another type of business. To prevent your policy from being canceled, immediately notify your agent of any changes you’ve made. Perhaps you’ve heard of the term “moral hazard” but aren’t quite sure what it means. Simply put, this involves people taking risks at the financial expense of others. In other words, they fail to do what’s right and only consider what benefits them. For instance, someone drives a rental car on rough, mountainous roads when they would never even consider exposing their own vehicles to such risks. For a P & C insurance cancellation, first, call your agent before contacting your carrier. The reverse is true in the case of a health insurance cancellation as it’s the carrier you should contact before your agent. A criminal record can be another reason for a policy being canceled. If you’ve been notified your policy is being canceled, don’t give up. You can still do everything possible to let them know you want to work with them, besides plead your case. Be sure any negative information an insurance company has on file about you is correct. Show your agent evidence that changes that been made, such as changing your address or getting a better job. Are you a small business owner who’s in the market for commercial insurance? 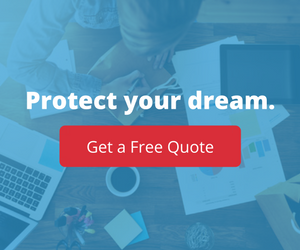 Please contact the insurance pros at InsureYourCompany.com.